There are plants that can cause opposite reactions to the desired effect, according to the person to whom they are addressed. This is the case of valerian. Make breathe the fresh root to your loved ones and you will find that some are fleeing this "foul smell", while others are irresistibly attracted by its fragrance intriguing. Valerian seems to have a split personality. The quiet most of us, promoting a peaceful sleep, even acting as an anxiolytic. However, it may excite some causing nocturnal anxieties and nightmares. 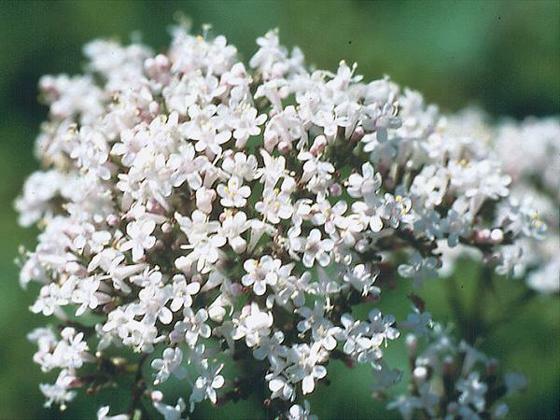 Let's explore this majestic ambivalence.Plante, valerian gives high flowering stems during the summer. But above all it is grown for its roots. The seeds are sown in spring, planting tray. They degrade relatively quickly. Also do not keep them from one year to another, or expect to germination will be far from optimal. They need light to germinate, which is quite surprising for a seed of this size. Moisten your potting soil and tamp it well the first time. Arrange the seed surface, and tamp again to fix the seeds in place. Please do not cover the ground. Sprinkle with a spray bottle and keep them always wet. Place the tray in a cool place. Seedlings should appear within two weeks. Warning, these first leaves do not resemble at all the mature leaves, more divided, sometimes resulting in accidental weeding. Once your seedlings have developed three or four leaves, transfer them in pots and in the ground when they are strong enough. Valerian appreciates a half shade half sun exposure, frequent watering (she likes to have wet feet), all in a rich land, complete with manure and compost, and relatively well drained. I keep my plants tightened to the garden. Indeed, the root mass is very small and compact in relation to its aerial mass. When the mistral blowing on my garden, some plants end up losing to wind. In the clamped configuration, so they manage to hold each other. If your garden is exposed to the wind, do not hesitate to do the same. The root, very aromatic, is harvested in the fall when the aerial part begins to disappear. Wait until the plant has at least two years before the sacrifice. Do not expect to get a large amount of roots per plant. It is better to plant at least fifteen if you consume regularly. Some cats are completely mesmerized by the smell of the fresh root. They will show cunning to access this smell that immerses them in a trance! This indication is little known, but valerian can help to mitigate disturbances digestive caused or aggravated by stress relieving the state of hypersensitivity irritable bowel. It will then take between 30 and 50 drops of mother tincture of fresh roots in a little water, three times a day before meals. Listed sleep, some swear by it. Other - about 10% of users - make a reverse reaction with a more restless sleep than usual. Francis Joseph Cazin, famous physician campaign early eighteenth th century, explained that, in some cases, it excites the nervous system, accelerates the heart rate and gives a feeling of oppression in the chest. In my experience, people warm up the less tolerant. To find out if you should use the following method explained page. Its antispasmodic properties make it useful for relaxing the smooth muscles and relieve intestinal cramping and menstrual in particular. It also affects the contractions type lumbago or torticollis. Then take thirty drops of mother tincture in a little water every ten minutes until relief, not to exceed 15 ml per day.